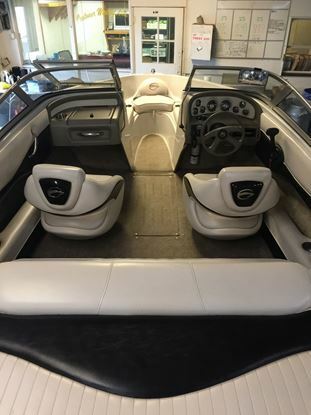 Freshwater / Great Lakes boat since new this vessel features a Single MerCruiser 4.3-litre MPI 220-hp Gas Engine with Alpha I Sterndrive and only 157.3 original hours. Can be viewed in person in Petty’s showroom. Many years of boating fun waiting to be had. Copyright © 2019 Petty's Marine. All rights reserved.